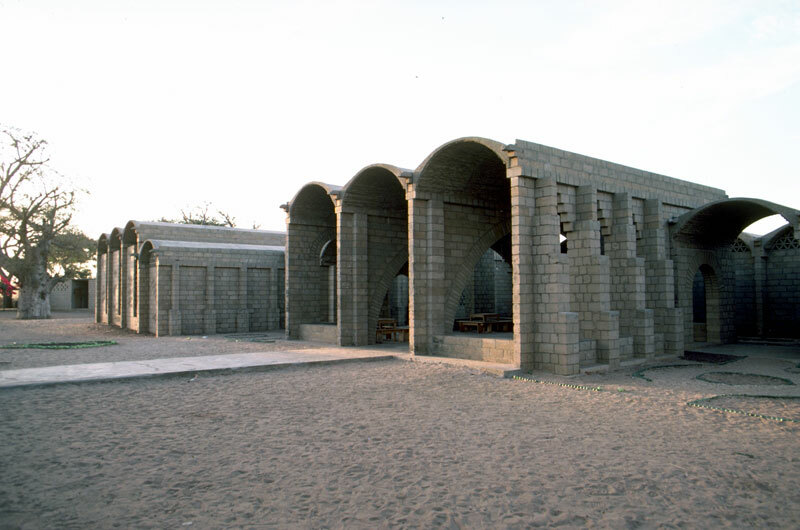 Exterior view of the Agricultural Training Centre, Nianing, Senegal. Vault detail. 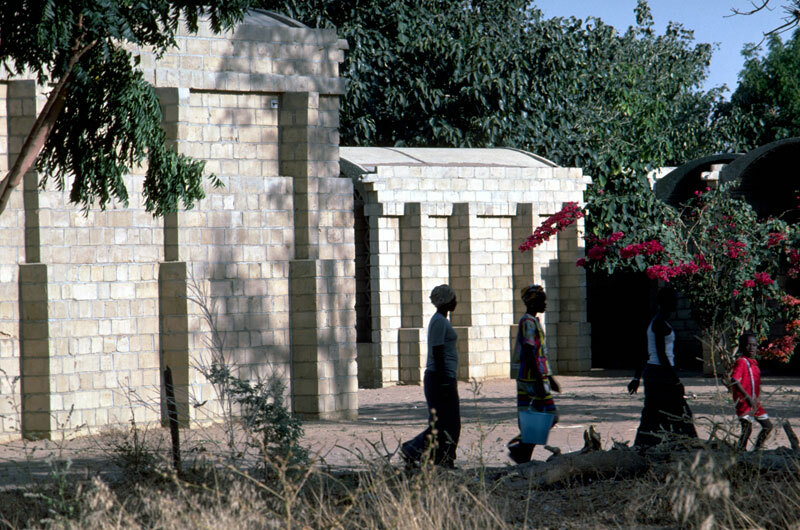 Agricultural Training Centre, Nianing, Senegal. Interior view of classroom. 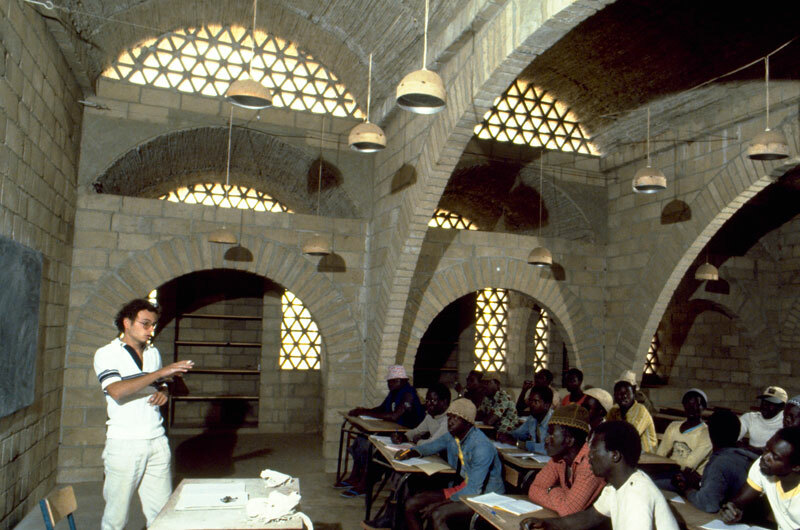 Agricultural Training Centre, Nianing, Senegal. 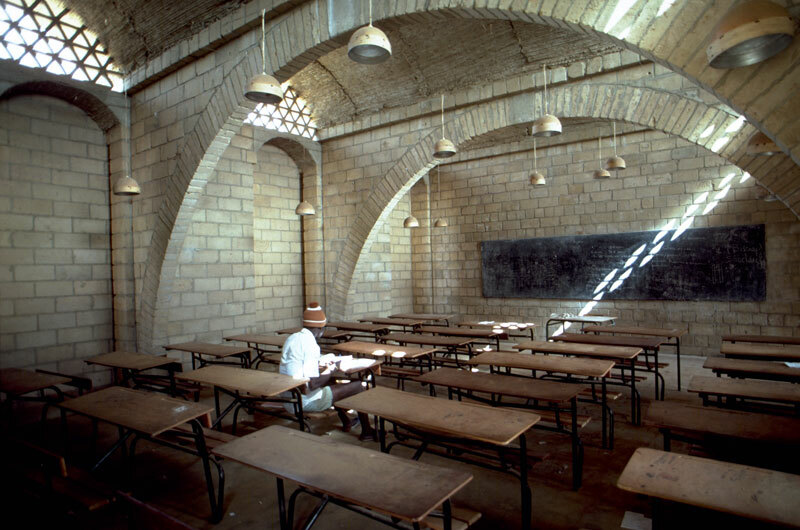 Interior view of classroom with teacher and students. 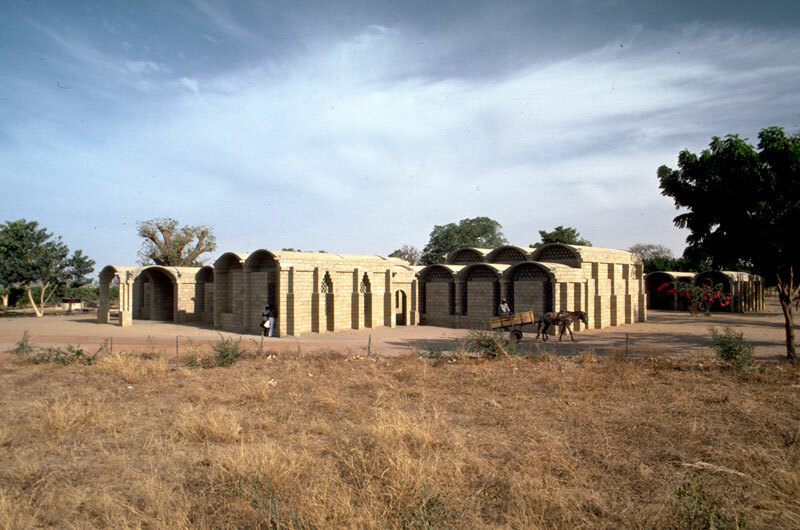 Agricultural Training Centre, Nianing, Senegal. 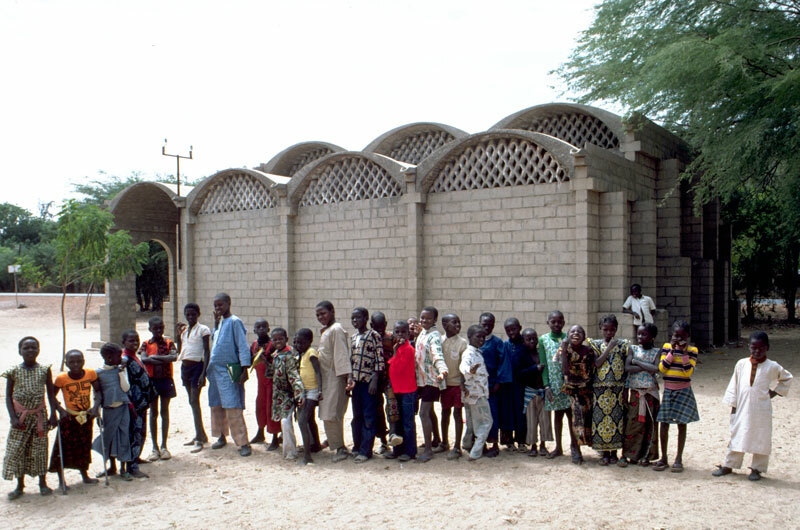 A private school in Nianing following the example of the Agricultural Training Centre, Nianing, Senegal. A covered passageway connects the entrance of the centre to the teaching block. 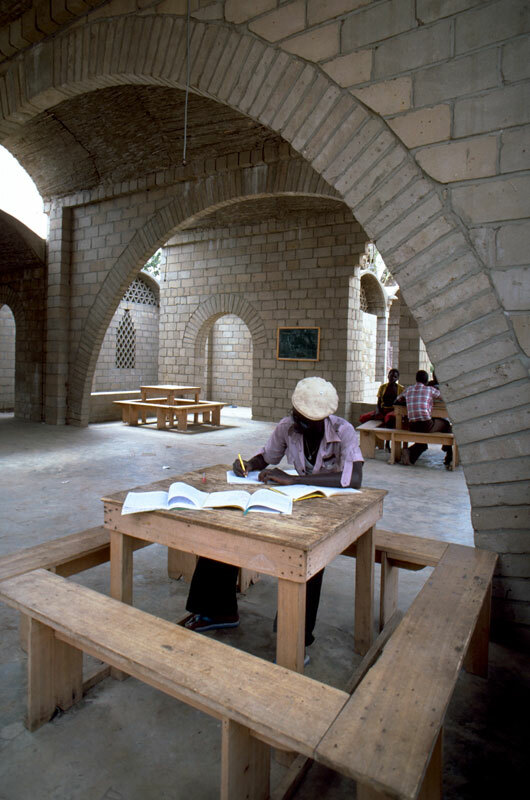 Agricultural Training Centre, Nianing, Senegal. 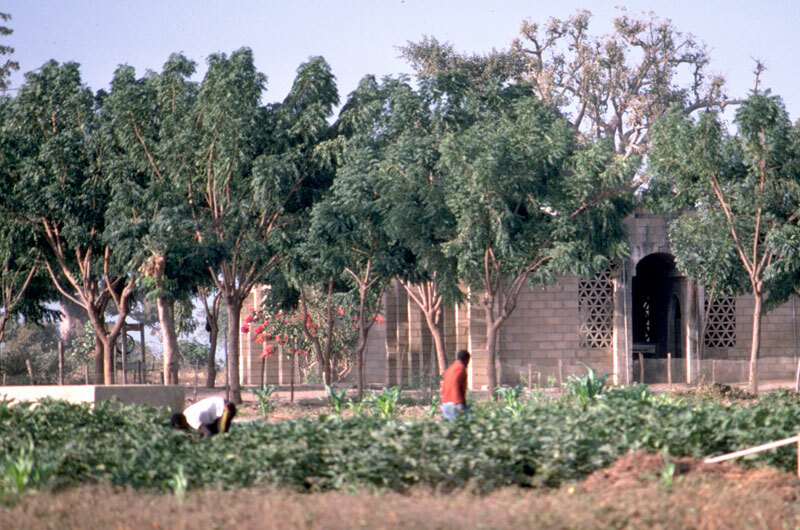 Agricultural Training Centre, Nianing, Senegal. The teachers at this regional training centre for 80 youths developed a simple, low-cost, low-technology structural system, based upon a UNESCO prototype, which they have used to construct their own buildings. 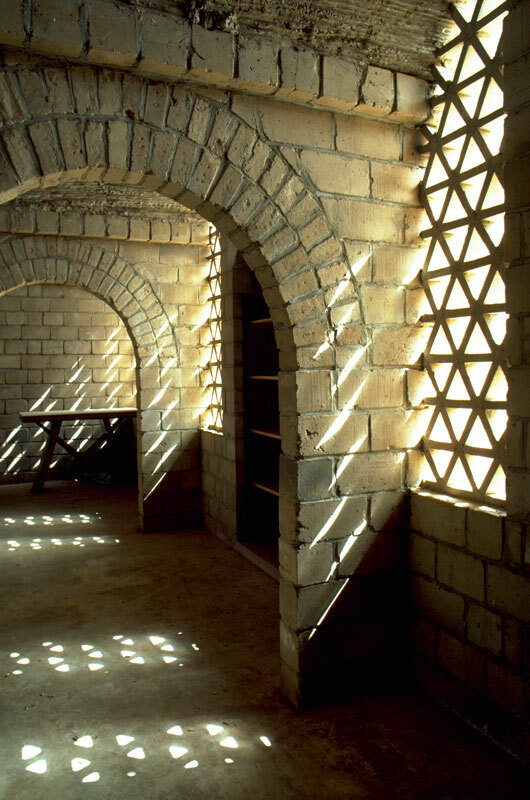 Solid, load bearing sand and cement block walls, and masonry arches, parallel to one another, support short-span barrel vaults. The vaults, whose thickness at the crown is only a little over 4 centimetres, were formed using three layers of cement mortar stabilised with wire mesh at the top of the vault. Rounded plywood struts were used to support the shuttering formed from millet matting. 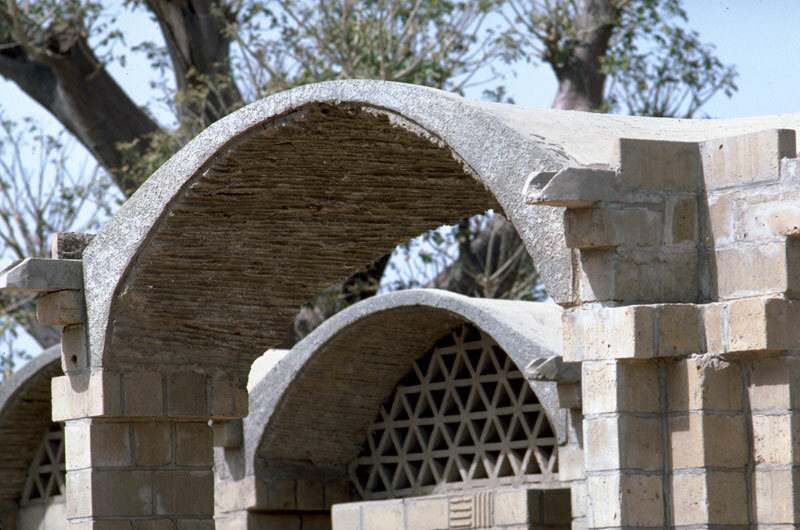 Buttresses counteract the horizontal thrust of the vaults.